In my previous post, I talked about how social entrepreneurs can create strong social business brands and effective marketing campaigns. This week I’ll be highlighting a social enterprise who’s brand and marketing activities put all of my social enterprise marketing best practices into action. (DIdn’t read my last post? Don’t worry. Scroll to the bottom of this page for a checklist that will get you caught up!) 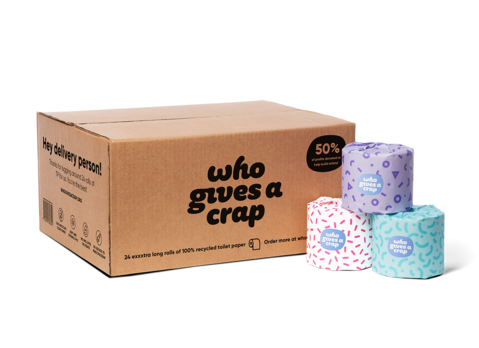 Who Gives A Crap is a fantastic social enterprise with a unique, memorable brand and an important social mission. Keep reading to learn more about them, their work and their marketing! Who Gives A Crap is a social enterprise that sells toilet paper. Yes, you read that right, toilet paper! When their founders learned that 2.3 billion people in the world (about 40% of the global population) don’t have access to a toilet, they were inspired to act. 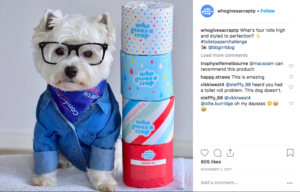 Who Gives A Crap sells toilet paper made from environmentally friendly products, with 50% of their profits donated to non-profits working to improve access to toilets, clean water, sanitation and hygiene facilities in developing countries. I fell in love with Who Gives A Crap’s branding the moment I saw it. The funny, attention grabbing name. The bright and eye-catching, yet simple colours and design. The humorous brand voice. This unique, colourful branding remains consistent across their website, product packaging and social media accounts so you always know what to expect. When I discovered Who Gives A Crap, I knew I had to include them in this article because they are such a memorable, unique brand. As I mentioned above, Who Gives A Crap sells primarily toilet paper, but also other household products such as tissues and paper towels. They offer a high-quality product comparable to, if not better than traditional toilet paper brands (they were Australia’s #1 toilet paper, after winning the award for most satisfied customers in Canstar Blue’s 2017 toilet paper review!). As far as pricing goes, it wouldn’t beat the bargain brands but has a reasonable and competitive price point that makes it a strong contender when shopping for toilet paper. They even have a subscription service so you can get your toilet paper delivered to your doorstep. Each toilet paper roll is individually wrapped in paper packaging with a colourful design. Their customers often share pictures of their toilet paper rolls on social media…I can’t say I’ve ever seen that for any other toilet paper brand! Beyond being eye-catching and insta-worthy, wrapping each roll individually in paper helps them avoid using plastic packaging (which we all know is bad for our earth). 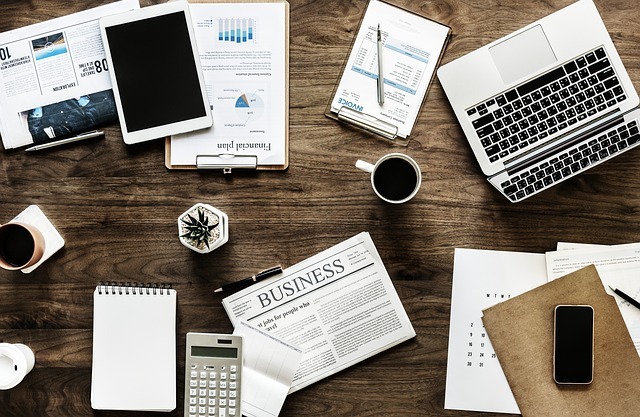 Who Gives A Crap is not a social business who is afraid of marketing; they have an excellent website and use both social media and e-mail marketing. Who Gives A Crap does an effective job of balancing sharing and leveraging their social impact story with putting their product first in their marketing messages. Visitors to their website are certainly aware of the positive impact the product has beyond meeting their own needs. As they say themselves, “Good for the world, good for people, good for your bum.” But their value proposition is not centred on the social impact, it is simply an added bonus of the customer’s purchase. Who Gives A Crap keeps their colourful and humorous brand consistent across all of their digital marketing platforms, including Facebook, Instagram and Twitter accounts. They share both owned and curated content with a focus on being funny. They utilize lots of images and graphics that stick to their colourful brand, often using their own products and packaging in the posts themselves (sometimes with a dog thrown in!). In the United States, Australia and the United Kingdom they use paid social media ads that focus on driving conversions by advertising free shipping on most orders and sharing their subscription service. Who Gives A Crap isn’t afraid to be funny! This humorous tone is consistent across all of their marketing channels. While they may not make their model of change their unique selling point (remember, that’s good! ), they do an excellent job of being transparent about their model of change, their business activities and their social impact. In clear and easy to understand language, they explain and provide proof of how much they donate to charity and what it’s for and how their product and packaging itself minimizes its impact on the environment. They also explain how the 50% of their profits that are not donated to charity are used to grow the business. In addition, Who Gives A Crap shares regular social impact reports that go into more detail about company activities and how they are creating a positive change in our world. Overall, I definitely give a crap about Who Gives A Crap! Their colourful, humorous brand pulled me in and stuck in my mind. I really felt that while buying their toilet paper would support a great cause, there was no doubt in my mind that I would be getting a high-quality product that would meet my needs just as well (if not better) than anything I would find in a local store. What more can you ask for from your toilet paper? This post was supposed to highlight multiple social enterprise brands, but Who Gives A Crap is such a great brand example that I just couldn’t stop writing about them. Their unique and consistent brand, excellent digital marketing strategies and transparent business practices and model of change are an A+ example of good social enterprise marketing that all social entrepreneurs should learn from . Keep up the great marketing Who Gives A Crap! 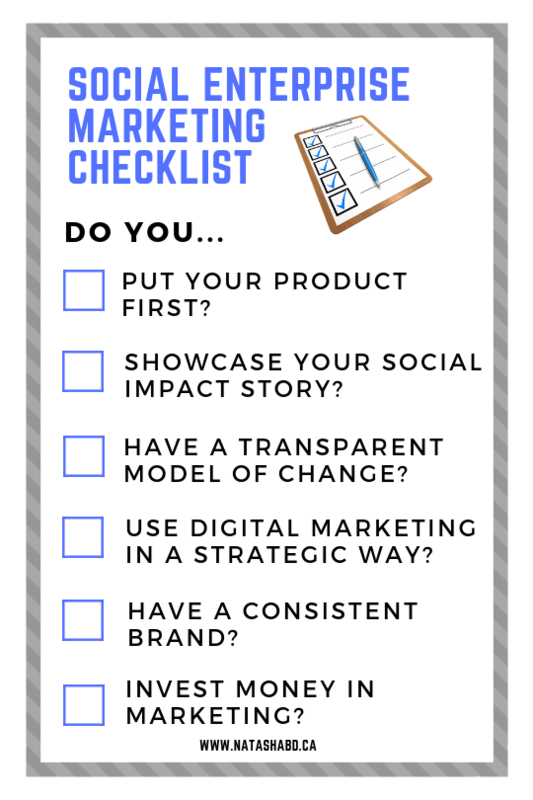 Does your social enterprise use these marketing best practices? 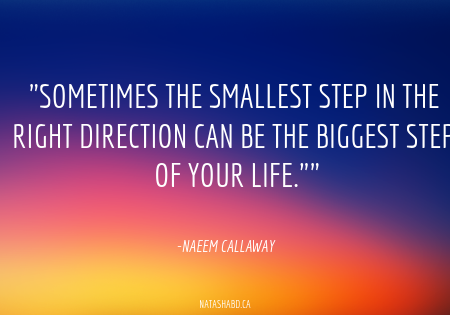 It’s never too late to get started!